Looking for something fun, but academic, to do with your students on Halloween? 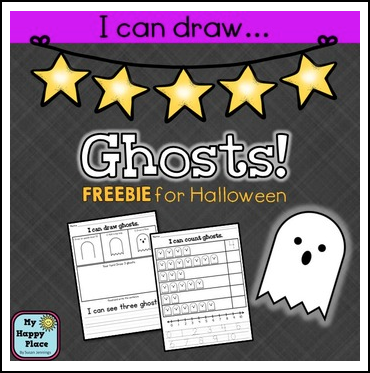 Primary students will enjoy drawing, writing about, and counting ghosts. Print these two worksheets back to back for morning work, center time, independent practice, or whole group instruction. Enjoy! If you like this product, you can find more Halloween drawing fun here: I Can Draw: Halloween!